HOUSTON (KTRK) -- Instead of heading to the donut shop, why not make your own? It's a fun activity you can enjoy with the kids! Preheat oven to 425 degrres Farenheit Spray Doughnut Pan with vegetable cooking spray. Bake : 7-9 minutes or until the tops of the doughnuts spring back when touched. Let cool in pan 4-5 minutes before removing. 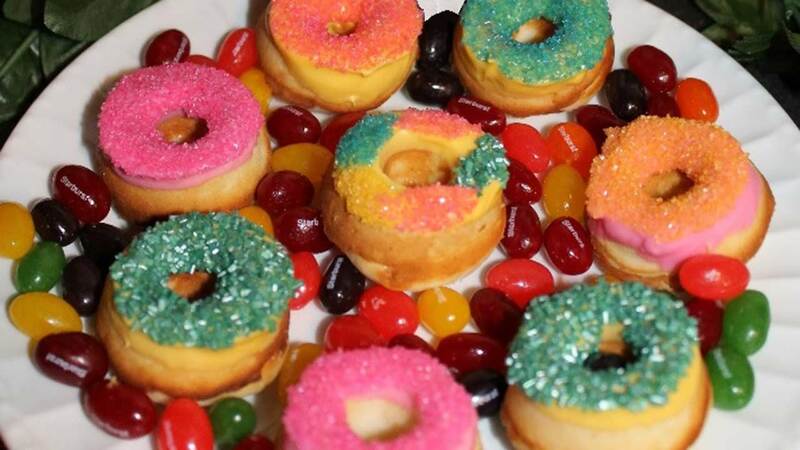 Finish doughnuts with icing and fun sprinkles.